Having a tough time tonight. I think there may be better players out there tonight (Friday night), or I just can't get anything going. Had a little better luck. Still searching for my first solo win. Just came in 5th. Came in 2nd the other night. Both times I fucked up and might have done better, even won one of them, IF I had gone into a fight with my weapon fully loaded. On my second place finish I had a grenade launcher. Was ready to spam a guy with it. It holds 8 at a time. I fired the first one. When it came time for the second one..... reloading.... arggghh!!! He got away and ended up getting me later. Tonight I rushed a guy, had the jump on him but lost the fight. At the time something felt off, the tactical shotgun wasn't firing at it's normal fast rate, something was off. I went back and watched my video and noticed I started with 3 rounds. When I went to fire the 4th and subsequent shots it was pausing to reload each shell. I'm confident that I would have won that fight if my gun was fully loaded. 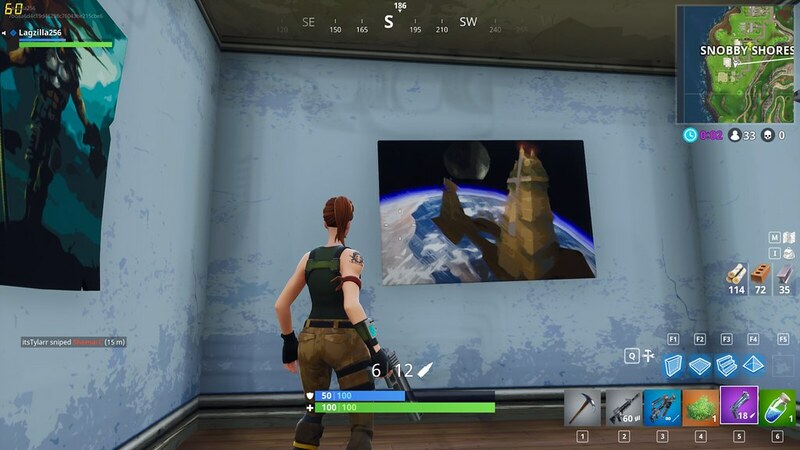 Last edited by hardspike; 03-03-2018 at 02:00 AM..
Are you showing us the painting on the wall? Is it a UT2K4 thing? Having finally got my PC up and running (it survived a plane journey in a suitcase somehow), I saw this thread yesterday and thought I'd give it a go. I won't lie, I am pretty bad at it but it is good fun when you survive long enough to grab a weapon. If anyone wants to be buddies my username is TheSage. You might also get to see me in the UT server a bit more often now too, although I can't say I'm any better at ONS to be honest. The art is of the map CTF-Face, a UTxxxx map. Thought it was a nice nod!